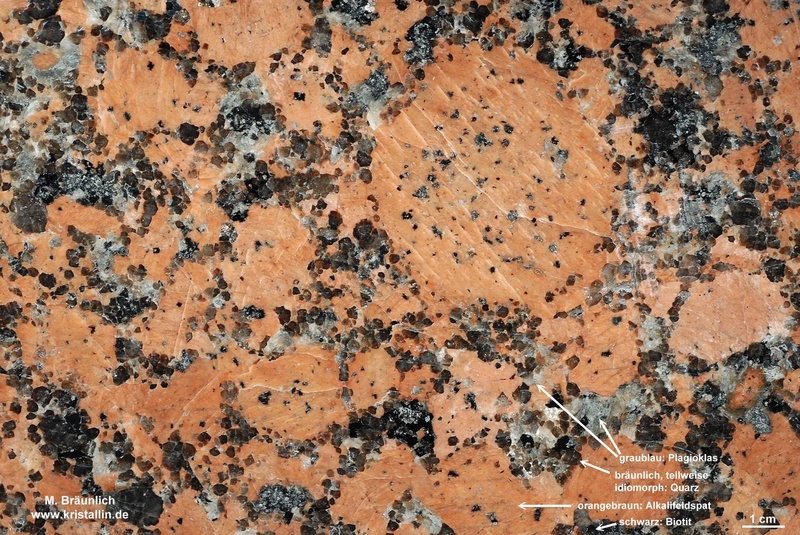 texture of the ovids (in rapakivis) and the orbicules (in orbicular rocks). 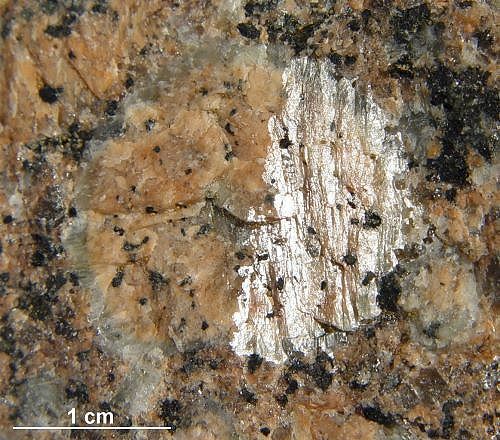 The roundish ovoids of the rapakivis consist always of one single K-feldspar. They are easy to recognise when reflecting in the light. Always the whole crystal reflects as one. If you see a Karlsbad-twinning the reflection will shows two sections. On the other hand the orbiculs of the orbicular rocks. They consist of hundreds of tiny crystals, grown radially outward from the core. Mostly these crystals are feldspar but they can be of different minerals too. The outer part of the orbiculs is dominated by the shells with their concentric lines. Even this part can have a texture of radially grown crystals. The following pictures illustrate this. 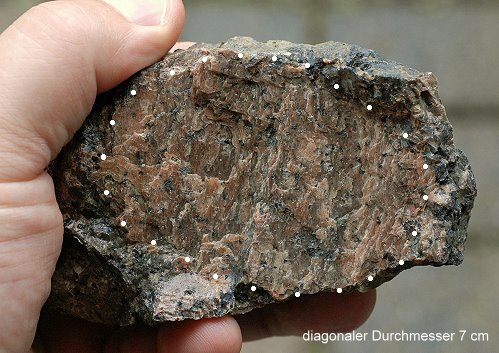 You see the outer part of an orbicul (Ruskiavuor orbicular rock). 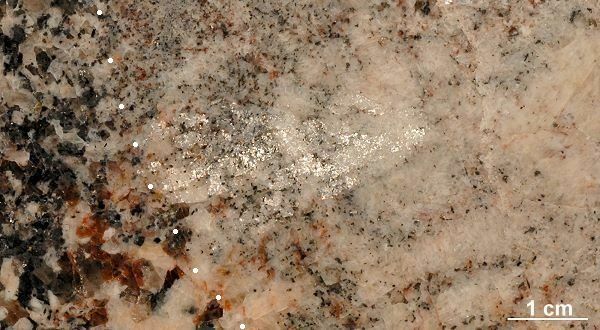 The bright crystals in the picture below are reflecting feldspars. 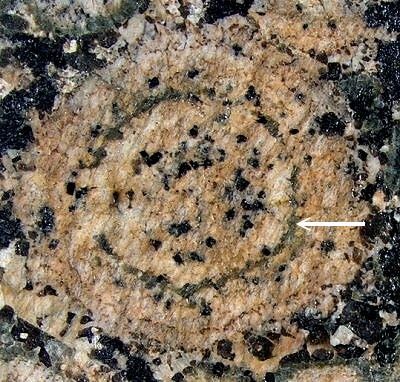 The shell of this orbicul consists of radially grown feldspars. The next picture shows the same surface with different light. The orbicules of orbicular rocks do never consists of one single crystal like the ovoids of the rapakivis. 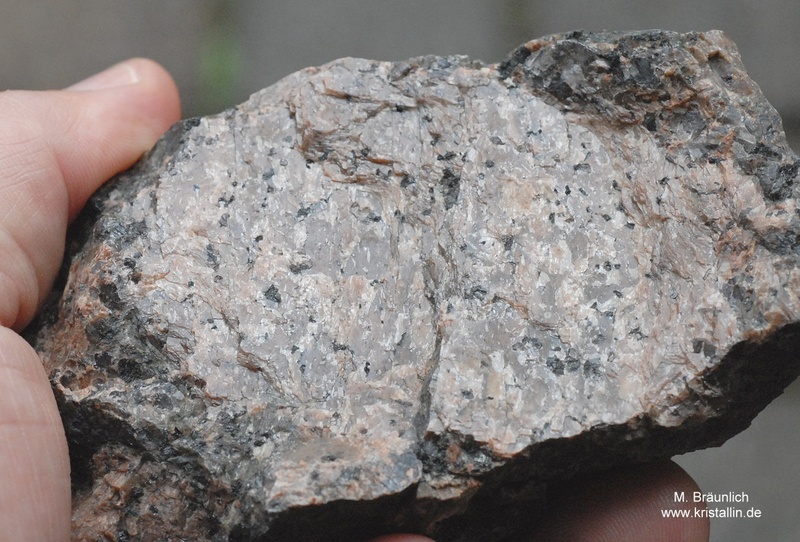 Every kind of magmatic rock can show the texture of an orbicular rock. Mostly these rocks are black and white. 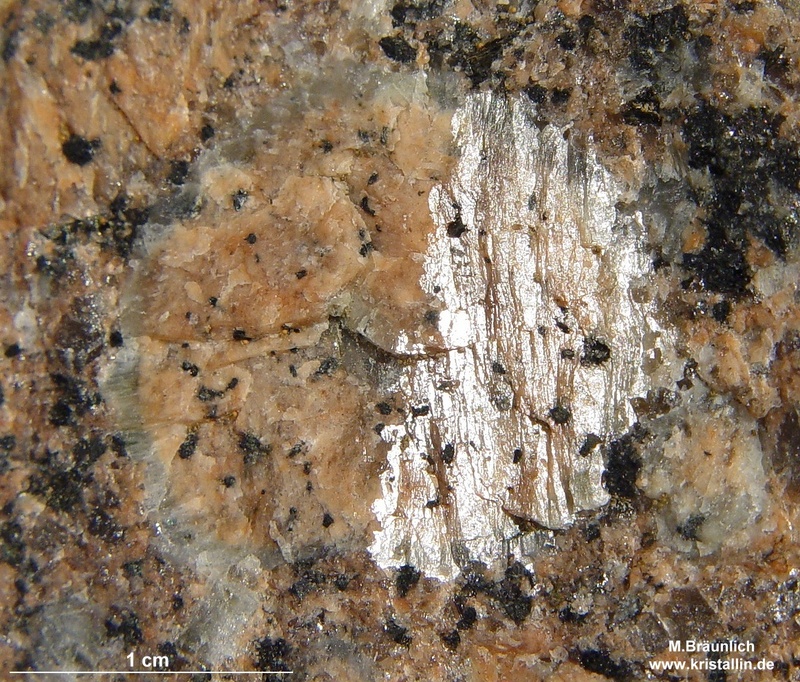 The white mineral often is plagioclase. The amount of quartz is low in most orbicular rocks. Deformed orbiculs, broken ones or pieces of shells can be seen quite often. Rapakivis on the other hand are true granites without any exception. You will always see a lot of quartz next to the ovoids. 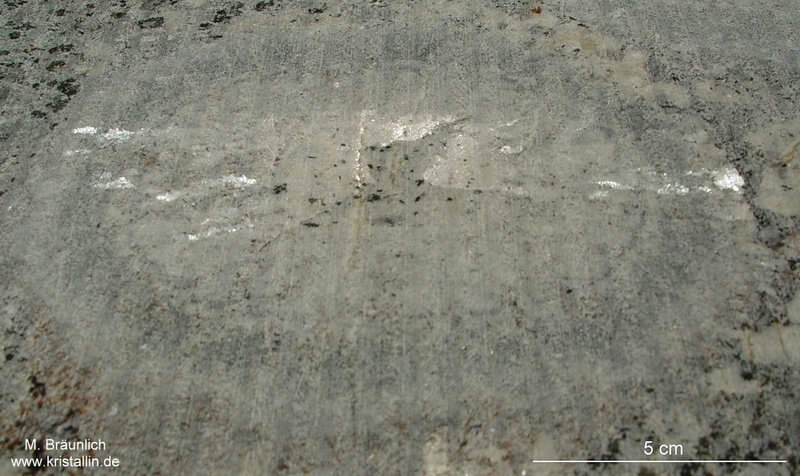 These ovoids are only of K-feldspar with a rim of plagioclase and show often the typical perthitic texture. The ovoids are nearly never deformed. 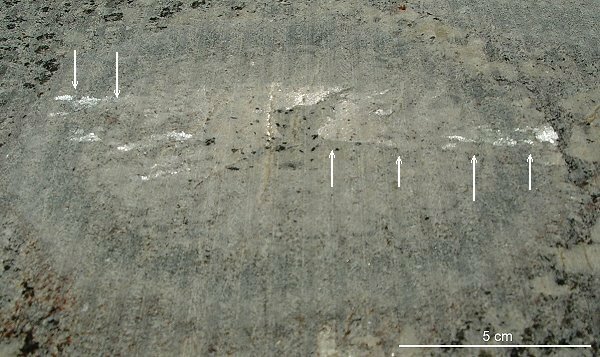 Orbicular rocks occur only in tiny outcrops, measured in meters (!). They are very rare and only used for special decoration - if they are available at all. 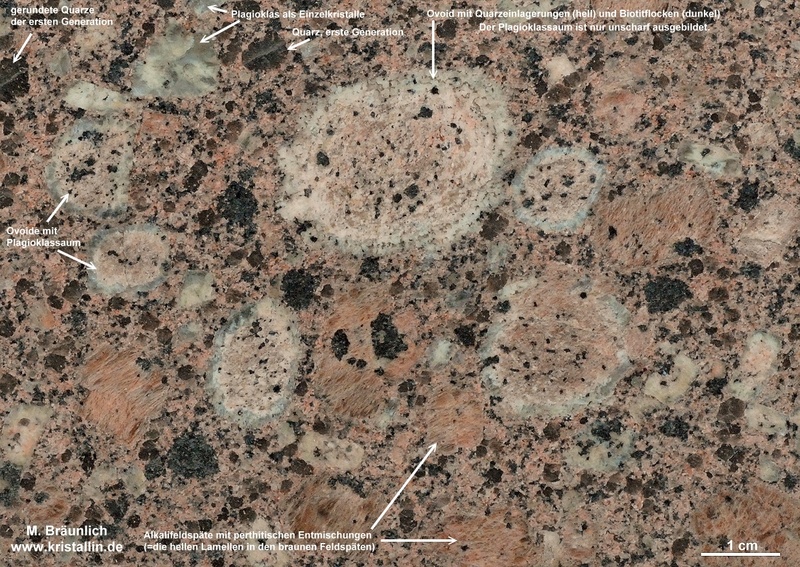 Most orbicular rocks in Europe are protected and can only be seen in collections. Rapakivis are common as dimension stone or inside the house (kitchen, bathroom). Rapakivi granite occurs in very large intrusions with an extension of 100s, sometimes 1000s of square kilometers. Most of the rapakivis show a brown colour with a grey-greenish rim of plagioclase. These rims are thin: between 1 and 4 mm. The shells of most of the orbicular rocks are much thicker and they show subshells. These shells are composed of different minerals. 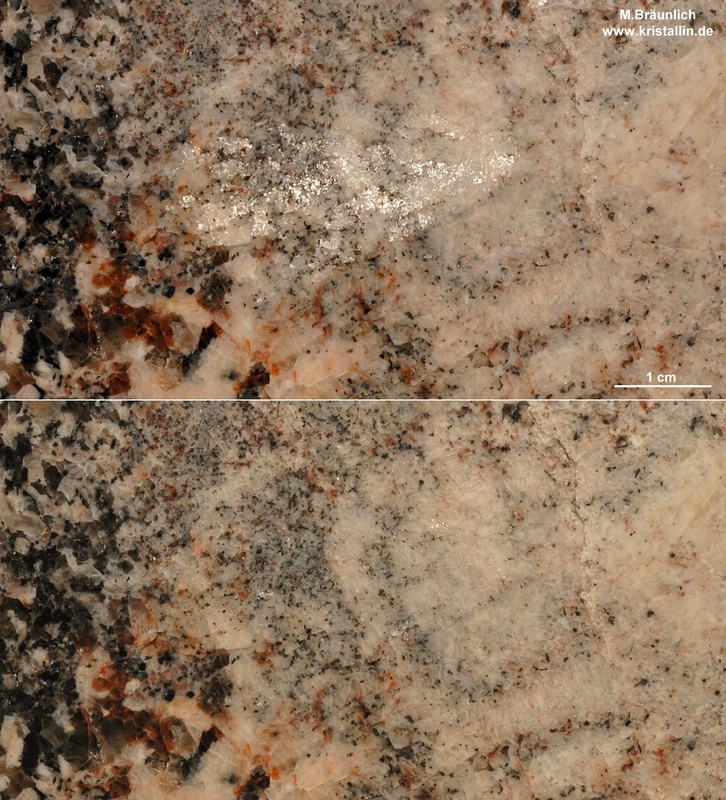 The following details can sometimes be seen in the rapakivi “Baltic Brown”from Ylämaa, Finland. It is a rare kind of rapakivi-ovoid with one or more rims inside. 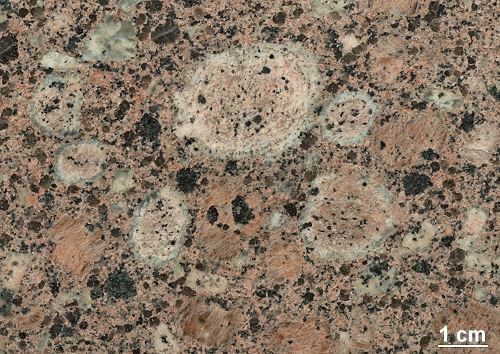 This is always brownish and always surrounded by normal rapkivi texture and is not part of an orbicular rock. The size of the orbicules and of the ovoids can not be used to separate both with success. The ovoids of the rapakivis are mostly between 2- 4 cm in diameter. Orbicules are often larger. Big ones can reach more than 30 cm, but very small ones are also found.